SO as long as they just hang out in the basement or garage or whatever I’m completely fine with spiders. Hey, they make great listeners! And (as far as I know), with the exception of two easily identifiable species – the brown recluse, and the black widow – North American arachnids are pretty much harmless to humans, but an absolute scourge to other nuisance insects like flies and mosquitoes and whatnot. It can get kinda gross when they start laying eggs all over the place though. Still, awesome little critters – in moderation. Knowing something about them is essential to their appreciation though – the rap they get in popular culture, as well as people’s perhaps innate fear of them, makes the majority of folks probably more likely to swat one than make a pet out of it, (though as a compromise you could always just catch it and toss it in the garden), which is where Christopher M. Buddle and Eleanor Spicer Rice’s new book, Dr. Eleanor’s Book of Common Spiders, comes in. 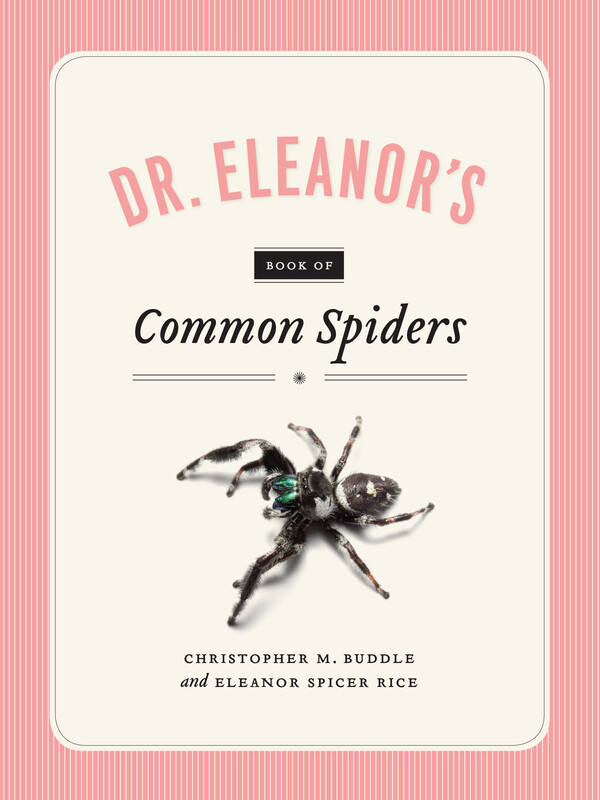 Here Eleanor Spicer-Rice, renown science writer and entomologist by training (entomologists btw study insects, not arachnids), teams up with arachnologist Christopher Buddle to uncover the hidden . . . The University of Chicago Press is pleased to announce that the 2018 Gordon J. Laing Prize has been awarded to sociologist Forrest Stuart for Down, Out, and Under Arrest: Policing and Everyday Life in Skid Row. Stuart’s book offers a fascinating look at the interactions between the criminal justice system and the low income residents of L. A.’s Skid Row. The result of years of fieldwork – not only with Skid Row residents, but with the police charged with managing them – Stuart’s book reveals an alarming decrease in support for our poorest citizens, accompanied by an increase in spending on policing and prisons that only serves to exacerbate the problems endemic to the nation’s most disadvantaged neighborhoods. Touching on some of his inspirations for the book as well as the historical role the University’s Department of Sociology and the Press have played in developing and disseminating the unique style of ethnographic study at the heart of Stuart’s work, the acceptance speech was hailed by Stuart’s acquiring editor Doug Mitchell as “one of the best Laing Prize speeches in memory.” And luckily enough, someone even managed to capture it in it’s entirety on their iphone! Check it out below, or find out . 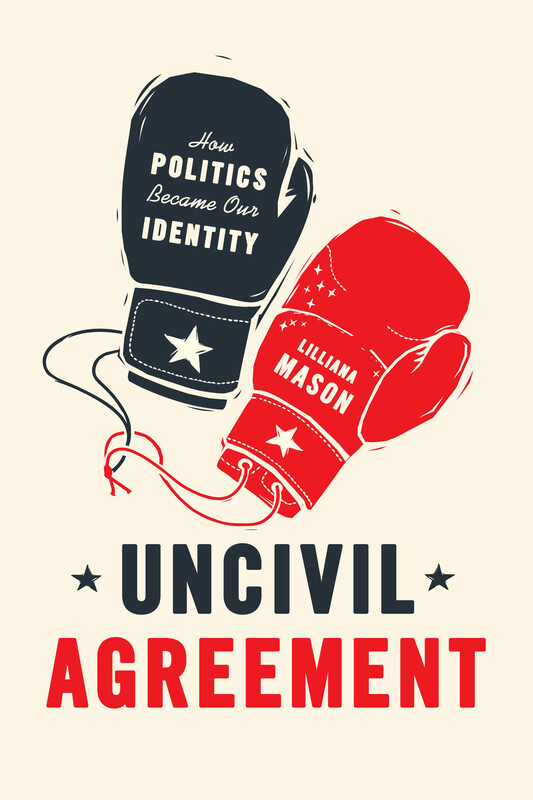 . .
Lilliana Mason is assistant professor in the Department of Government and Politics at the University of Maryland, College Park and also the author of a new book that Vox co-founder Ezra Klein calls “one of the most important published this year.” Her new book Uncivil Agreement: How Politics Became Our Identity takes a timely look at the growing social gulf across racial, religious, and cultural lines which has recently come to sharply divide the two major political parties. Dissecting the minutiae of group identification – how we come to associate ourselves with a group; how that group identity can can overrule our ability to make political choices in our best own interests; and how this works to undermine democracy – Mason ties political science to social psychology to provide an unprecedented view of the current political landscape in the U.S. On the April 30th edition of his podcast, Klein engages Mason in a fascinating discussion of her new book. As Klein writes for Vox: “If you want to understand the kind of identity politics that’s driving America in 2018, you should listen in.” Navigate to player.fm to stream or download the epidsode, “The age of ‘mega-identity’ politics” or follow this . . .